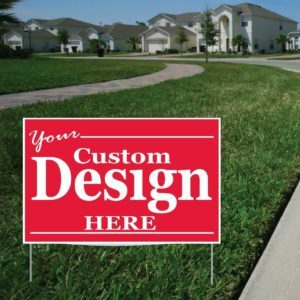 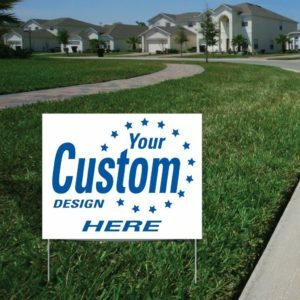 Personalized 28 x 44 Posterboard signs fold down to a 22x28 signs. 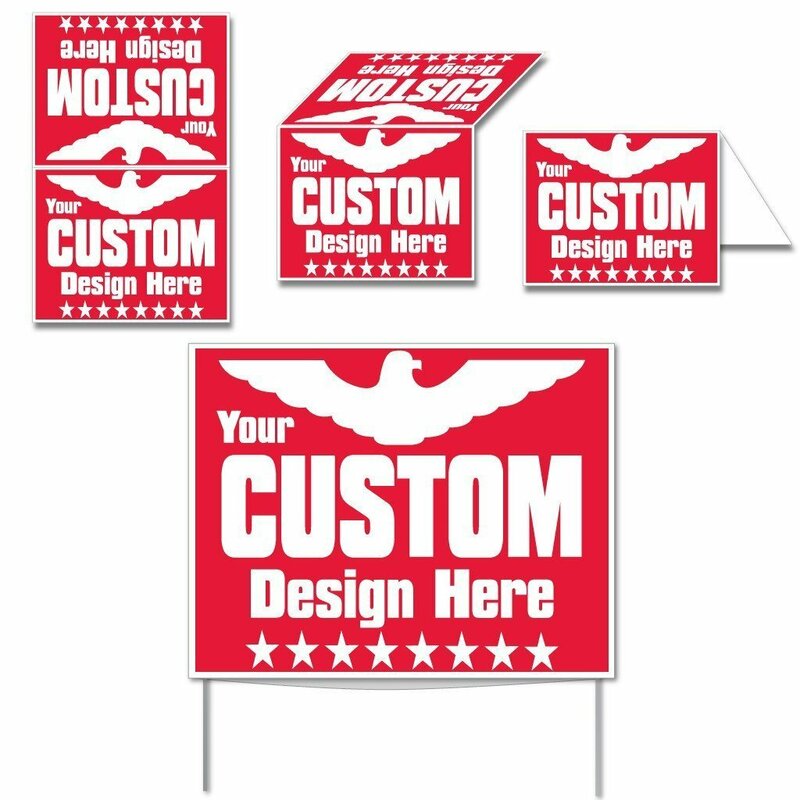 Your design will be screen printed in one or two colors on 24pt weather resistant posterboard. You then fold the sign in half, staple the sides and it becomes a 2 sided sign. 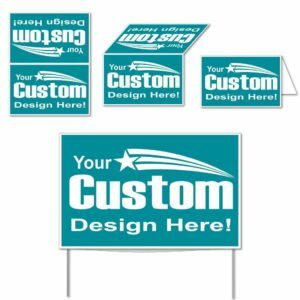 Great for political campaigns, business promotions or event promotions. 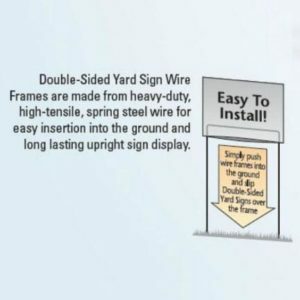 Low cost, great product. 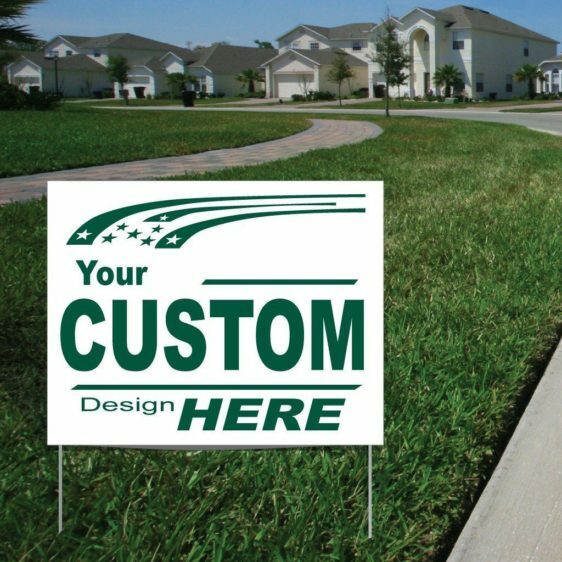 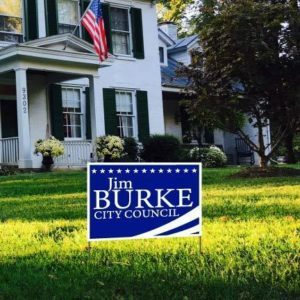 Minimum order of 25.While our poster board signs are weather resistant, they are not meant to be used in climates that endure long periods of rain. These are short term signs, that will hold up very well to some wet weather, but not a full month of it! If you think these might not be for you or your area of the world, please speak with your account rep about other sign options. 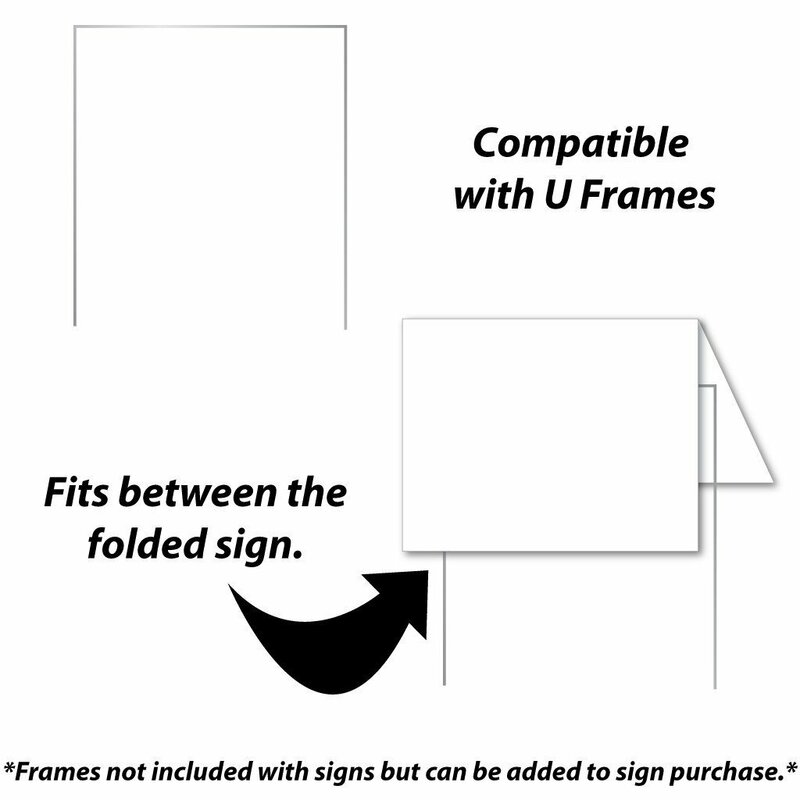 Scoring: Scoring leaves a small indentation on the surface of the paper which makes it easy fold. No charge for scoring our posterboard signs.